A delightful grade II listed cottage which has been lovingly modernised by its owner yet retains much character and many original features. If you want to experience living in a 300 year old cottage in a truly beautiful historic town then you will love your time here. 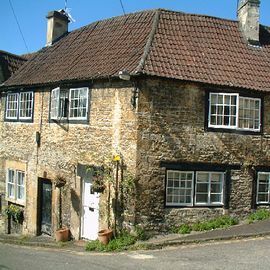 Teasle cottage is available for holiday lettings and short term lets. "In the Heart of Bradford on Avon"